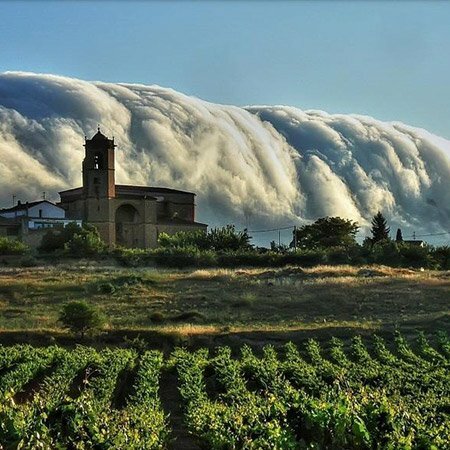 La Rioja: the winery land located in the south of the Basque Country. Discover this wonderful area, its culture, and traditions with a wine tour. We’ll run the gamut from 11th century history to avant-garde architecture. We’ll visit family-run wine cellars who produce their wines using centuries-old techniques, and taste some of their most exquisite wines, accompanied by the area’s typical foods. 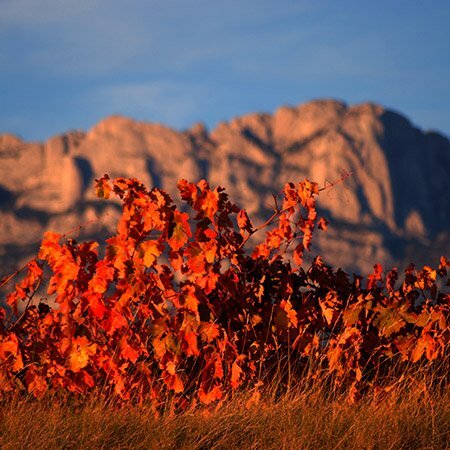 We will also visit some of the oldest wineries in la rioja. wineries that started making wine in the Bordeaux style (using oak barrels to age wine) in the middle of the 19th century. After lunch we’ll visit the medieval village of Laguardia. It is a walled village that in the past was an important watchtower but today welcomes you with open arms and an excellent gastronomy. The medieval layout of the narrow streets of Laguardia, the gates leading to the town and the remains of the walls that still remain will take you back in time, as will the remains of the Neolithic or Bronze Age that are in the vicinity and are the oldest agricultural communities discovered in Euskadi. Once in its streets, don’t forget to visit one of the jewels of Basque art and its polychrome portico, the church of Santa María de los Reyes, whose oldest vestiges date from the 12th century, and that of San Juan Bautista, which has interesting pieces of religious art such as the altarpiece Mayor, a spectacular baroque piece. Every wine lover dreams of seeing the origins of his favorite vintages. The terroir of the Rioja region is internationally renowned, and on our vineyard picnic, we will give you an unforgettable experience. At the foot of Mount Toloño, get to know a marvelous place: a hundred year old winery situated in a unique environment shrouded in nature. 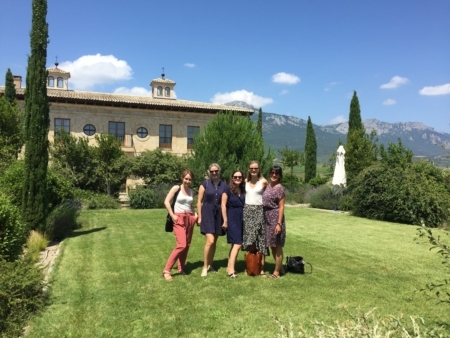 We will walk among the grapevines and olive trees and later enjoy the wonderful views of all of the Rioja region. We’ll finish the visit with a fantastic picnic lunch made up of local products, like Iberian ham, cured cheese, and fragrant extra virgin olive oil. Of course, we’ll have a chance to taste the wine which makes this place so famous. Without a doubt, this is one of the best ways of getting to know the true essence of the Rioja. The Basque Wine Land which we call “La Rioja Alavesa” is located just 160 Km away from San Sebastian. We will depart from San Sebastian and go across the Basque mountains arriving at “La Rioja”, a bountiful land with many vineyards and wineries were most of the spanish wine is produced. We will visit 2 wineries were we will revel in some wine tasting and take a tour of the facilities. Optional: Lunch in an idilic winnerie. Discover one of the world’s most famous wine-growing regions with one of our guides, whose passion for wine is second to none. During this full day excursion, we will discover this region and visit 3 or 4 wineries, each with its own style, history and architecture. Enjoy this famous region and discover much more, thanks to the help of our experts. A day to learn and enjoy in equal parts. Starting from the vineyards and passing through the barrels to the glass. It’s not just about the wine. In La Rioja there are beautiful places that deserve our attention. Places outside the tourist routes and will make this wine tour a unique experience. Places like; wine presses sculpted in the rock dating from the X century, prehistoric monuments or ancient burial from the first inhabitants of this region. It is the perfect tour for a photography lover. Tastings in 4 wineries and local tapas in at least 2 of them.